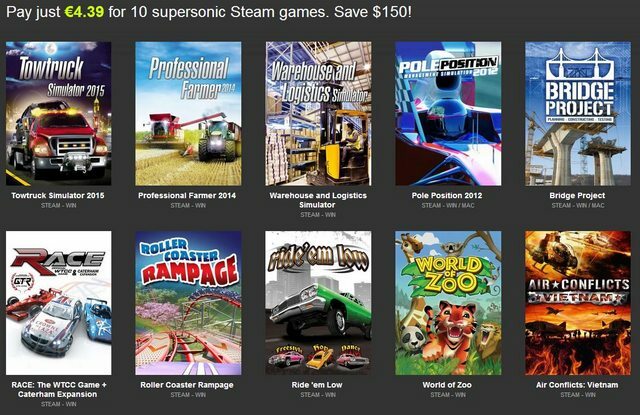 its part of this bundle,9 games in total, maybe the games collection is not the greatest but its only $3.99. I will most probally buy it for the tank opperations game. PS: The Steam codes worked perfectly, I already claimed them all on my account. Yeah, bundle sites are great. Want me to post links to the ones I sometimes use? There's always something going on. If you find really good deals, heck why not. nice idea posting sites. These are ones I have used. trouble is most times you buy games you already have. I have keys all over the place. I figure, at 55yrs old I hope I live long enough to play em all. 6 games for 1.79 euro, only in first 48h. SNATCHED! Knights & Merchants alone is worth the price, we'll see about the other games. Duke Nukem Manhattan Project's on Indie Gala right now. 3 bucks. A bunch of silly, cheesy games on the weekly Humble bundle right now. Surgeon Simulator alone is worth it if you don't know what it is. Hilarious. Omerta "gold version" which contains every DLC is on humble for 7.49 US. 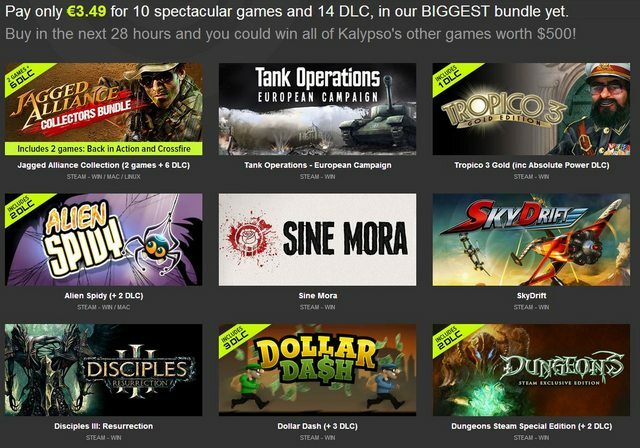 Awesome bundle with all the Commandos games + Cossacks. Got it! It's not week's, it's day's. For the next 14 days, there will be a different bundle every 24 hours. But yes, the Deep Silver one was excellent. Pay what you want for Age of Wonders, Age of Wonders: Shadow Magic, Divine Divinity and Beyond Divinity. If you pay $6 or more, you'll also receive Age of Wonders II: The Wizard's Throne and Divinity II: The Developer's Cut. Contribute $15 or more to receive all of the above, plus Divinity: Dragon Commander. 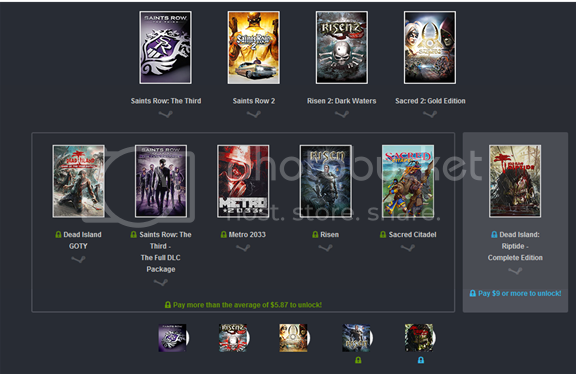 The Humble Weekly Bundle by Triumph & Larian runs for one week and ends Thursday, May 29, 2014 at 11:00 a.m. Pacific Time.